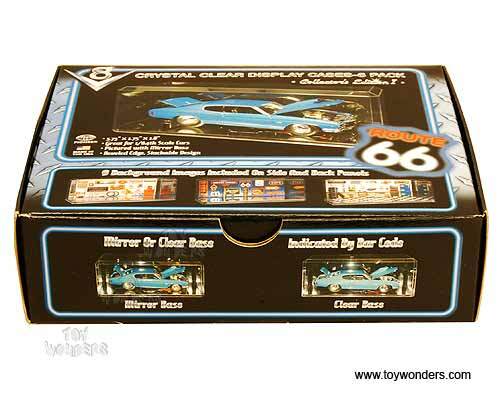 PP164CD Crystal Clear Display Case with Mirror for 1:64 scale diecast collectible model car. 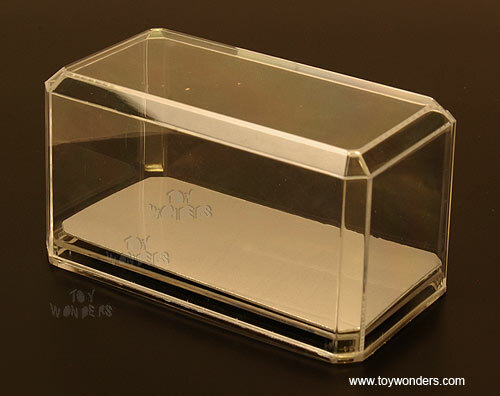 This Crystal Clear Case dimension is 3.75"L x 1.9"W x 2"H. It features beveled edge & stackable design. 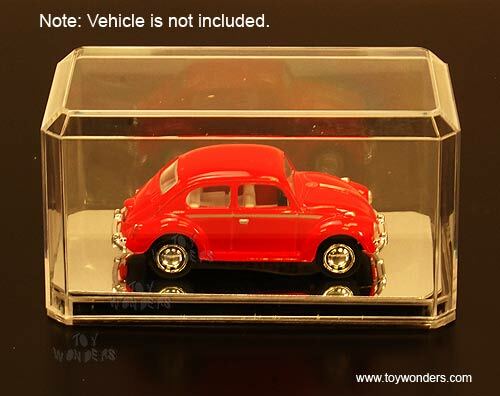 The distinctive "garage background" theme on the carton for customizing display if desire. 6 Display Cases packed in a box. To see more Acrylic cases (click here). To see more Die-cast Diorama Accessories (click here). Availability: This item has been DISCONTINUED. There are no scheduled production runs for this item. We have no further information on this item. If we learn otherwise, this message will be updated.